The Pendleton Foundation is dedicated to helping meet the financial needs of Coachella Valley residents suffering from cancer. Karen Pendleton, our namesake, was diagnosed with Pseudomyxoma peritonei, a highly aggressive form of colon cancer. Her experiences while seeking treatment brought to light the great need for support, both financial and emotional, for those battling these illnesses. 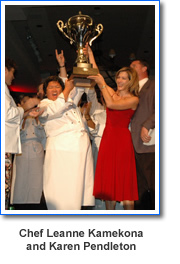 The first Chef's Auction was put together to benefit local resident Karen Pendleton, who had been diagnosed with a very rare form of cancer. Due to the rarity of her cancer, Karen's insurance would not cover the experimental surgery needed to help her fight the disease. 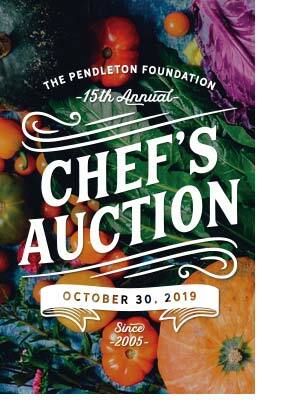 The Pendleton's along with the help of friends and Chef Herve Glin created the Chef's Auction to help raise money for Karen's surgery. Over twenty of the Valley's top chefs were auctioned off for private dinners and the response was astounding. Thanks to the money raised at the Chef's Auction, Karen was able to have a successful surgery and can now withstand the chemotherapy needed to battle her disease. The Pendleton’s recognized a local need for a foundation to help patients with cancer. That’s why they created the Pendleton Foundation – so that other Coachella Valley residents like Karen would have a resource to help them beat the odds. Please join the Pendleton Foundation in helping assist those fighting for their lives, and the families who love them. © Pendleton Foundation. All Rights Reserved.